your body has never been smoother, quicker, or as effective. Define muscles, reshape your waistline, back and chest, finetune your facial profile, tighten loose or sagging skin, or give your hairline a boost. Reclaim your body with high-tech vaginal treatments to improve tone and moisture, while helping to relieve symptoms of stress urinary incontinence and menopause. ENRICH is a cosmetic clinic and dermatology/skin clinic in Melbourne that treats thousands of Melbourne patients every year for conditions ranging from eczema to acne, wrinkles to pigmentation, varicose veins to intimate issues, fat removal to body sculpting, snoring to sweating and much more. Finding the Melbourne dermatological clinic that will best solve your skin and anti-ageing issues can be difficult, but look no further. ENRICH prides itself on providing Melbourne dermatology patients with the very best care and quality, effective treatments. Cosmetic dermatology skin clinics are not all created equal. ENRICH is one of the most well-respected dermatology and skin clinics in Melbourne, with its founder Dr Michael Rich having over 25 years in the field and our team of speciality nurses and doctors are all experienced cosmetic & specialists. We deal just as much in aesthetics as dermatology, making our clinic highly experienced in all facets of dermatology, including cosmetic dermatology. We understand that the condition of your skin and your skin condition are both elements of your skincare that we can tackle at once. Having a profound understanding of skin means our Melbourne dermatology and skin clinic is world-class, and our doctors are highly experienced and sought-after. At ENRICH, we pride ourselves on offering outstanding service to our valued clientele. If you were after the best dermatology clinic in Melbourne, look no further. Our doctors are experts in their field, with Dr Michael Rich, ENRICH founder, being a liposuction and dermatological pioneer. Our other doctors are researchers and experts in various skin conditions, like eczema, ageing, and blood-vessel conditions, so no matter what the problem is, we have an expert doctor waiting to treat you, with the most effective technology at their fingertips. 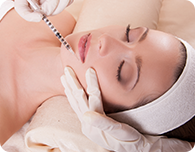 At ENRICH, only doctors do injection-based cosmetic treatments, unlike many other clinics that have nurses doing these tasks. We believe only a highly-trained doctor should be wielding the needle that will change or augment your face or body. If your skin needs a helping hand in any way, ENRICH can help. We can treat any skin condition and provide you with anti-ageing solutions that actually work. We have state-of-the-art equipment, the best doctors, and outstanding nurses and support staff. Every procedure or treatment we offer you will be heavily tried and tested to make sure it meets our high standards. Dr Michael Rich, founder and director of the ENRICH Clinic, is a dermatologist specializing in dermatology and cosmetic dermatology and surgery.